BOB.tv, Best Of Business Television, is an award-winning online platform that delivers the best curated content, learning and community to business professionals by industry sector. BOB.tv partners with leading industry associations to help their members enhance and maintain the professional skills and credentials relevant to their respective fields. Corporate Synergies, A national, independent Employee Benefits and Property and Casualty insurance broker and consulting firm with a strong footprint in the Northeast and Mid-Atlantic regions. It is an innovation leader in its industry and the partner of choice for middle-market growth companies. The firm has a track record of helping employers deploy compelling Employee Benefits plans and Property and Casualty insurance coverage in a cost effective manner. It has pioneered the creation of employee benefit advocacy services for its clients' employees, is recognized for its level of service, and has won a number of awards for being one of the top places to work in its core markets. 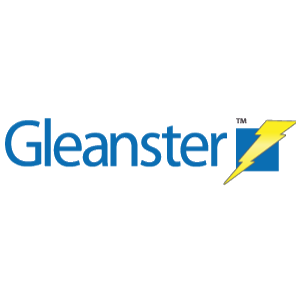 Gleanster, An IT market research firm focused on benchmarking best practices in technology-enabled business initiatives. Gleanster generates actionable insights that allow companies to make smart business decisions and match their needs with vendor solutions. Gleanster's benchmark reports, called Gleansights, can be readily downloaded at no cost. The research, which draws from the experiences of tens of thousands of industry practitioners, is predicated on four guiding principles: specificity, objectivity, brevity and clarity. Gleanster ascertains how Top Performers achieve their desired business objectives — and how Everyone Else can, too. 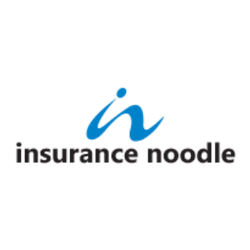 Insurance Noodle Formed in 2000 by insurance agents to meet the needs of insurance agents, InsuranceNoodle is a web-enabled wholesaler of commercial property and casualty insurance products from the nation's leading insurance companies. InsuranceNoodle offers commercial insurance products for over 1,450 types of business in 49 states and Washington, DC. Agents who use the InsuranceNoodle system get access to a broad range of products from multiple carriers using a single application data entry system. This is backed up with support from a state-of-the-art service center staffed by licensed insurance agents who work with technology and the carriers to place risks and to provide servicing of in-force accounts. InsuranceNoodle was acquired by Willis Group Holdings Limited in June 2007. 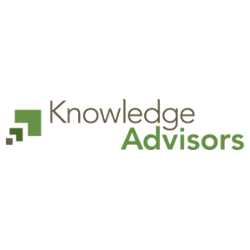 Knowledge Advisors, Inc. is the world's largest provider of learning and talent measurement solutions. Leading organizations access the measurement expertise and on-demand software to ensure a high-performing workforce. As the thought leader in Human Capital Analytics, KnowledgeAdvisors provides the most comprehensive analytics solutions available. By combining measurement expertise, on-demand evaluation software, and integrated analytics solutions with benchmarking, organizations gain the necessary insight on how to best develop their workforce. Knowledge Advisors was acquired by Corporate Executive Board (CEB) in February 2014. 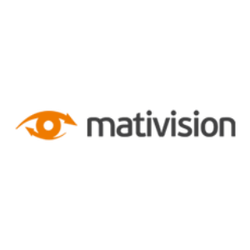 Mativision is a software company that helps engage fans, customers, sponsors and advertising partners with an interactive "I Was There" experience. Mativision's exclusive 360-degree live immersion video technology puts the user in the middle of the action like never before. Whether it is a concert performance, product launch, or live event, users can effortlessly explore every angle and detail from multiple vantage points – All in high fidelity streaming video. It's the best substitute to being there – only better - because you are in control and you can see it all. Promisec, A software security company that finds and fixes endpoint security problems. Promisec Integrity (cloud) and Promisec Endpoint Manager (on-premise) solutions help companies combat modern cyber threats and ensure IT policy compliance. Using agentless technology, Promisec solutions are fast to deploy and operate, easy to manage and use, and have no impact on endpoint or network performance. Headquartered in the US, Promisec serves clients globally. The Customer Group is a leading customer care design and performance improvement company. Leveraging deep expertise in architecting, designing, building, outsourcing, consolidating and improving the operating performance on contact centers, The Customer Group has a distinctive track record of helping improve customer interactions and business performance with clients such as ATT, Bank One, Credit Suisse First Boston, Orbitz, Teletech and UAL Loyalty Services.